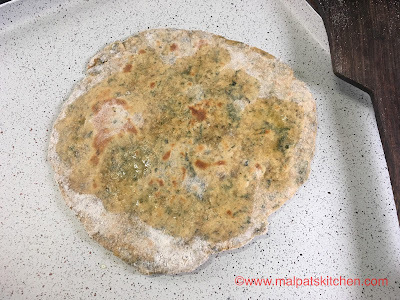 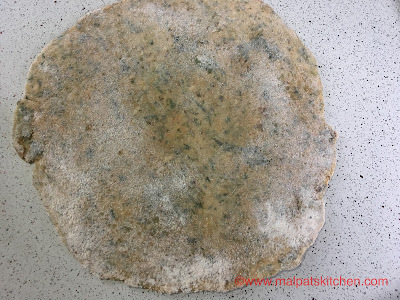 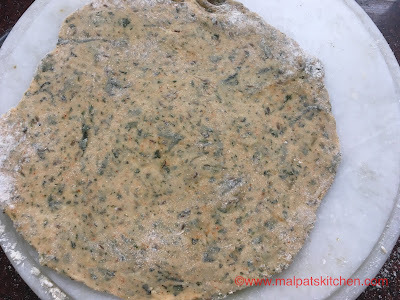 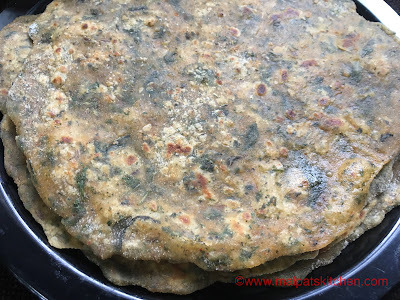 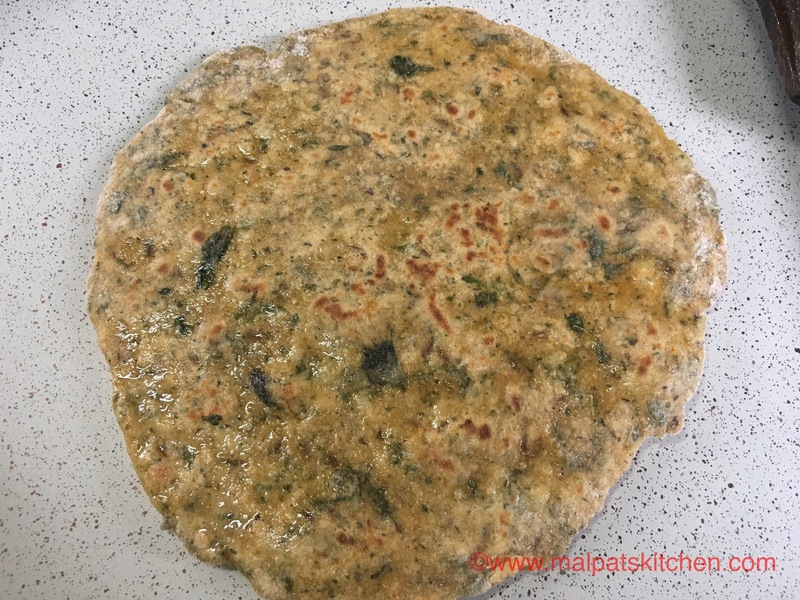 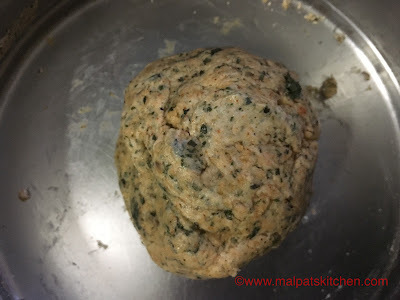 This is a very flavorful kind of roti, since the mint leaves are dried and added to the whole wheat flour. 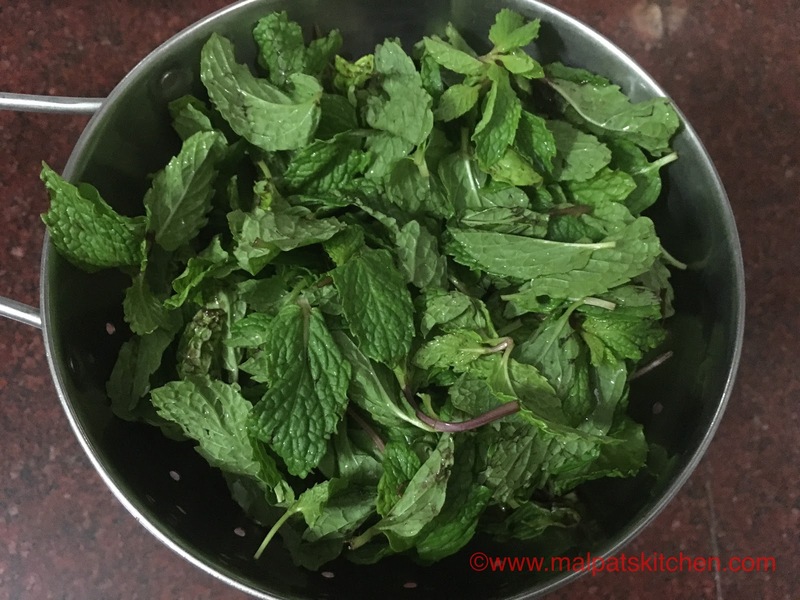 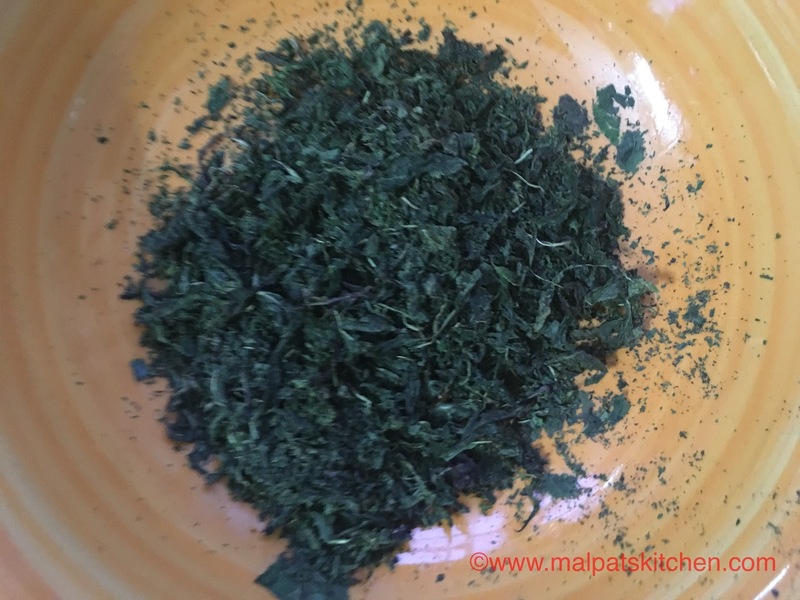 Mint leaves reduce muscle ache, relieve bad smells of breath, increases appetite, relieve heartburn, relieve nasal congestion, nausea and indigestion, and, improve body immunity. Then, either crush with your hands or pulse it in the blender jar a couple of times. 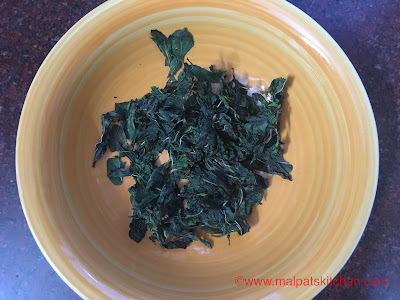 I just crushed with my hands, since it was well roasted and crisp. 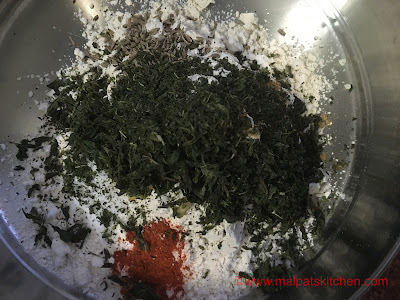 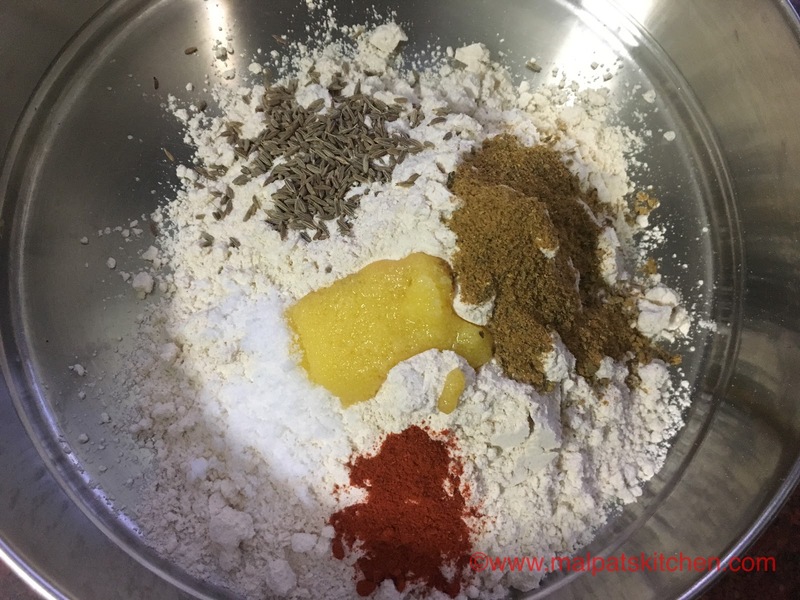 Measure and take the wheat flour in a bowl, add salt, chilli powder, jeera, paratha masala powder and ghee. If you don't have paratha masala powder, any other masala, like garam masala or kitchen king masala can be added too. Cook both sides till some golden spots appear.